At first "Old Guy Scott" was going to use his back up race motor out of his Monte Carlo race car, then decided it wouldn't look period correct. Picture #238. 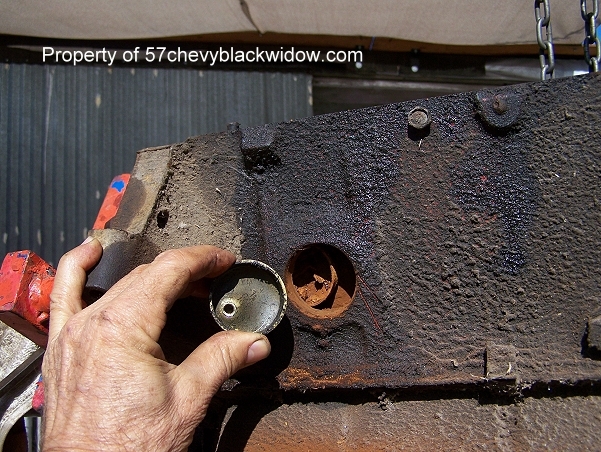 The 1957 283" engine used front motor mounts only, even with the spacer bushings used on the "Black Widow", it was a very poor setup for racing purposes. 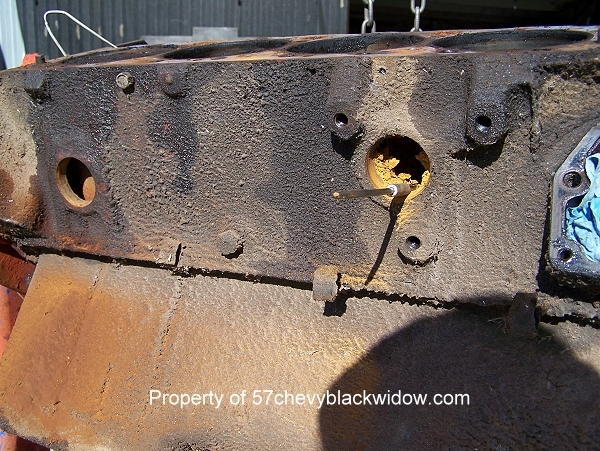 The 1958 283 and newer 327 engines all had side mount provisions cast into the block. 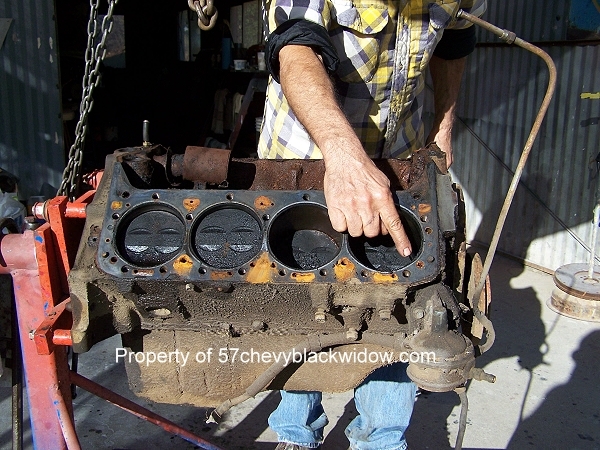 "Old Guy Scott" will use his original "Black Widow" heads on the side mount block. 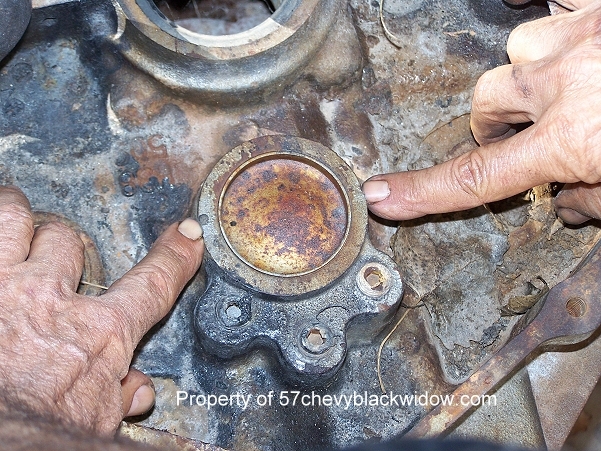 Pictures #241 and #242 show the provision for an open road draft tube and the front oil filler hole. The 350" and 400" engines don't have these, that's why they would look out of place on the vintage racer. 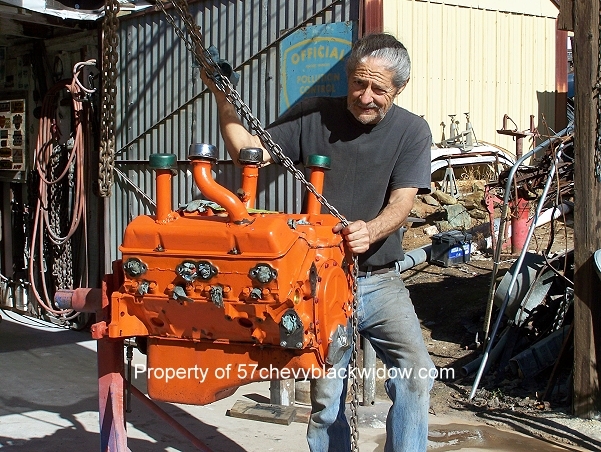 "Old Guy Scott" has had this engine (pictured) for more than ten years, looks like he will put it to use now. 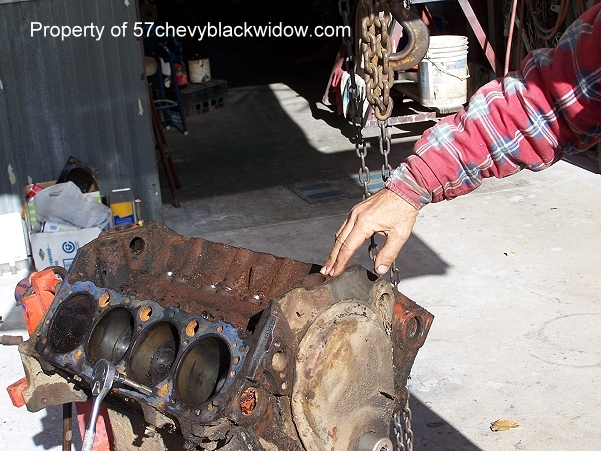 Before you start to build the race motor, you need to check for core shift. Pictures #239 and #240 show how to do this. 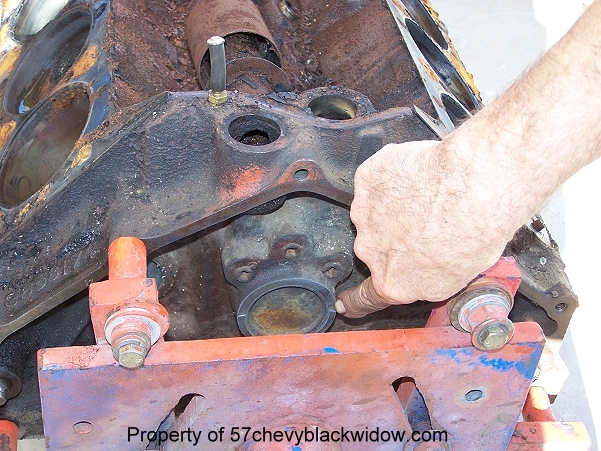 If the rear cam shaft plug is not in the center of the casting, meaning one side is thinner than the other, then the core has shifted when manufactured. 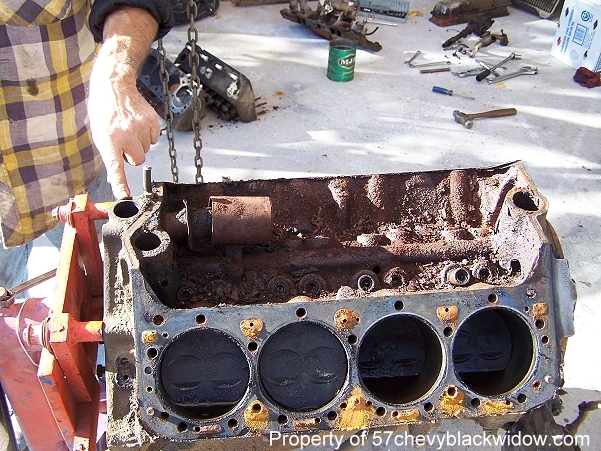 Shifted blocks are bad for racing, because water jackets and cylinder walls will have a thin side, warping can occur because of these hot spots.